provide a great and everlasting online brand for the company. Plus, they take the burden off of your other employees. But because hiring community managers is such a new concept, many companies are unsure of what exactly to look for when it comes to choosing the best possible candidate. 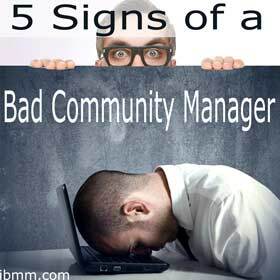 While there are many signs that someone is qualified for the job and will help put your company on the online map, the following are five signs of a bad community manager. 1. They can’t name a social media or online review tool. Community managers are responsible for a variety of social and online accounts, and the easiest way to manage and monitor these accounts is through using tools such as Hootsuite or Review Trackers. If a community manager has no idea of any social media or review management tools, then they’re a bad choice for your company. 2. Their social knowledge doesn’t go beyond Facebook and Twitter. Yes, Facebook and Twitter are the two most popular social networks, but it’s important that your community manager have an understanding of other social networks out there, such as Foursquare or Google+. While it’s possible your audience may only be using Facebook and Twitter, it’s still a good idea to hire someone that knows more than what you need. 3. They don’t believe in engaging with your audience. There are some community managers that think they can send out a few tweets or posts and that’s it, but this won’t give you a successful online persona. Not only do you need to initiate conversations with your audience through tweets and posts, but you also need to engage them through their own posts and tweets. For example, you cannot have a successful social strategy if you’re just stating information and never responding to others posts or tweets. Share Facebook posts and retweet Twitter posts. This gives your company a more personable feel. 4. They believe solely in automation. There are plenty of tools available that allow your company to schedule tweets and posts in advance, and while this is a good way to ensure that your company is constantly engaging, it’s not the only way to use social media. In order to be successful, you need to act in real time. Constantly sending out posts and tweets by scheduling them weeks in advance is not a quality you want in a community manager. 5. They think it’s a part-time job. Because online review sites and social media sites are online, they never shut down. 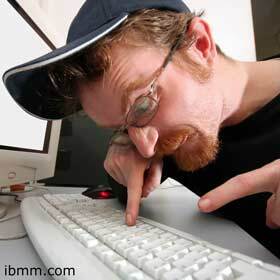 This means that your community manager has to have a plan in place to monitor these accounts 24/7. If your community manager believes that their job only deserves part-time effort, then they’re not the best fit. Instead, you want someone that can commit to constantly monitoring your brand, even after the 9-5 business hours are over. To have a good customer following online, you should (hopefully) know that interesting content and consistent updates are very important. Social media article writers and bloggers cannot repeat this enough.